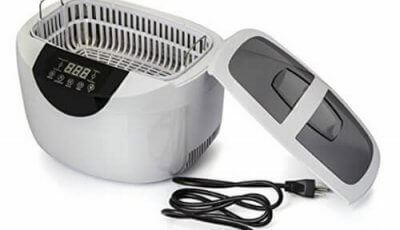 Ever since the invention of ultrasonic cleaners in the 1950s and their eventual commercialization in the 1970s, maintaining the shine, removing dirt, and killing off germs from pieces of jewelry, precious stones, electronics, and tools have never been easier and more convenient. These days, ultrasonic cleaners like the iSonic Ultrasonic Cleaner are more efficient in handling these tasks too. In this review, we talk about the different features that make the iSonic model P4820-WSB a great machine. The main advantage of the iSonic model P4820-WSB ultrasonic cleaner is its built-in stack transducer. 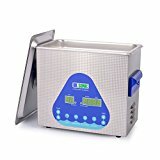 They are different from ordinary mass-market ultrasonic cleaners since those devices only use wafer transducers. Stack transducers emit 42,000 Hertz or 60 Watts in ultrasound energy. This amount of energy is enough to clean out accumulated grime and dirt in most things. 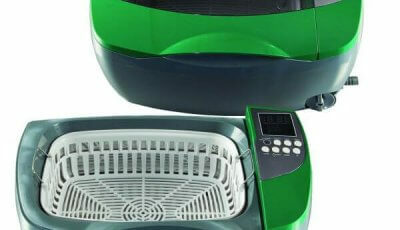 Another advantage of the iSonic cleaner is its built-in 100-watt heater. 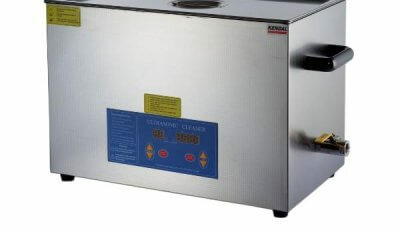 The heater helps in removing dirt from objects by increasing the cleaning solvent’s temperature. Increased temperature also kills off bacteria that may cause diseases. This is helpful for cleaning medical instruments. Note that thorough sterilization will still need to be done after the physical cleanup of instruments used by a member of the healthcare team. 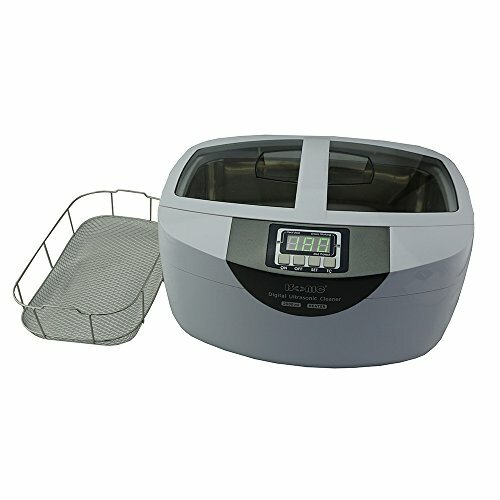 The iSonic model P4820-WSB ultrasonic cleaner includes a detachable wire mesh basket. Stainless steel baskets are preferred over plastic baskets since they do not absorb any extra energy generated by the transducers. The iSonic’s size is also an added advantage. The model P4820-WSB’s stainless steel tank measures 11.4 inches in length, 7.3 inches in height, and 8.8 inches in depth or thickness. You may place multiple long objects in it like gun parts, musical instrument parts, and even dental instruments, knowing that each object will be efficiently cleaned. 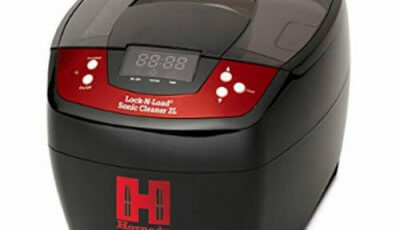 One of the most reported downsides associated with the iSonic ultrasonic cleaner is that it may leak. 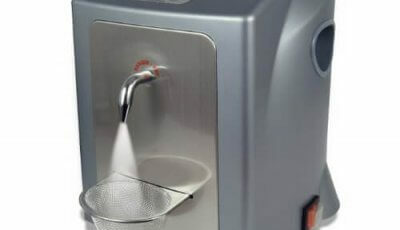 Even though the liquid inside the unit is designed to be poured out after each use, a leak may still appear. A remedy for this is to make sure all the places where liquid may escape are properly and tightly closed. If the problem still occurs, it may be caused by a manufacturing error so you should have your unit replaced as soon possible. 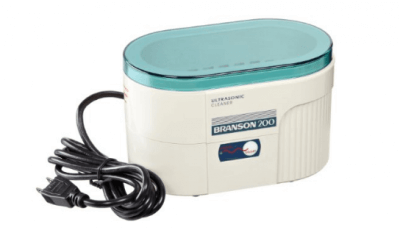 Another disadvantage associated with the iSonic model P4820-WSB is its diminished ultrasonic cleaning power in terms of cleaning heavily soiled items. You will need to repeat the cleaning cycles multiple times before you can get your items thoroughly cleaned. This is not really a significant issue if you only intend to use the iSonic for cleaning small items like jewelry, glasses, or musical instrument parts. 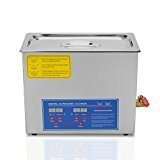 The iSonic model P4820-WSB ultrasonic cleaner is a worthy choice if you are looking for a cost-efficient yet sturdy ultrasonic cleaning device. 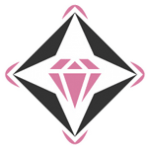 Its commercial-grade quality will save you money and time over many years.